Genetic Pollution causes a threat to the consumer’s right to choose. 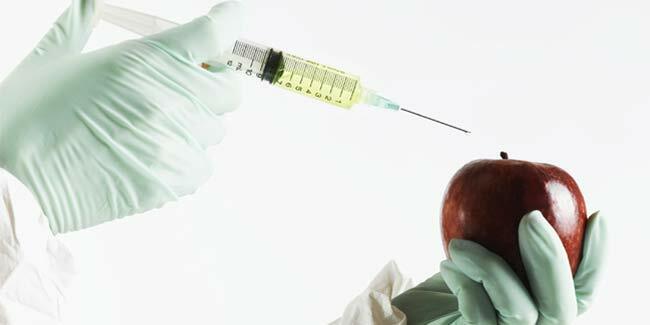 New GMOs are packed with more threat for mankind. The GMOs may lead the non-GMOs to extinction. Genetic engineering is a process in the field of science which has made it possible for industries to make genetically modified plants as well as organisms. By way of this process, new genes from other sources are inserted into the organism, which causes the organism to show changes according to the gene’s function inside the body. The genes that are inserted are called transgenes. Scientists can takes these transgenes from other species or sources to see changes in the organism. Sometimes, genes that are already present in an organism can be taken out and be altered desirably. Scientists make these changes with the genes to see the different characteristics or traits of genes that can be found in an organism. • The GMOs may lead the non-GMOs to extinction. • The genetics of the non-GMOs is likely to change to such an extent that they may not be able to show their characteristics. • The non-GMOs are likely to become resistant to pesticides or herbicides and will therefore, end up being a nightmare for the farmers. Several stringent efforts have been taken by the International Federation of Organic Agriculture Movement to keep the GMOs out of the area of organic production. This is owing to genetic pollution, which refers to the introduction of genes of other organisms into other species and causing irreversible change in them. According to microbiologists, if genetic modification is carried out extensively, new viruses with greater potential to harm mankind will evolve any time. A research paper that was commissioned by the British government said that crops that are genetically altered to become more resistant to plant viruses commonly found in plants risk creating mutant strains that may easily wipe out the entire form. Genes produce proteins in the cells that they are naturally programmed to work in, but when they are moved to another system, they may act differently and result in an outbreak of allergies and other health disasters.